How much energy is released in ATP hydrolysis? How many mRNAs are in a cell? How genetically similar are two random people? What is faster, transcription or translation?Cell Biology by the Numbers explores these questions-and dozens of others-providing a richly illustrated and handy reference for students and researchers in molecular and cell biology, chemistry, and biophysics. 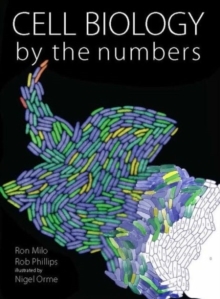 The book features question-driven vignettes and "back of the envelope" calculations that investigate some of the key numbers in cell biology. Readers will learn about the sizes, concentrations, rates, energies, and other numbers that describe and drive the living world.